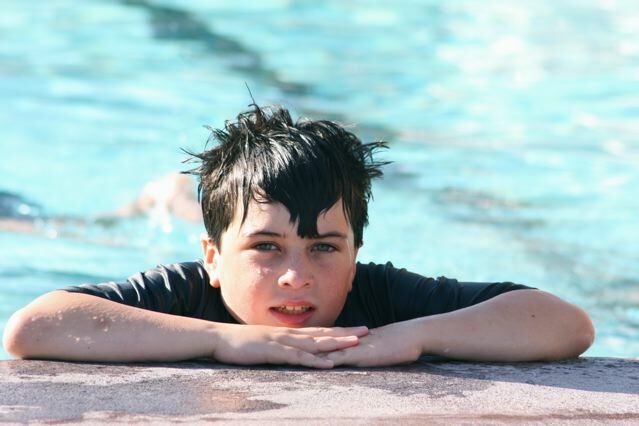 When Joe was a wee lad he had a rough go of it in regards to swim lessons. His very first experience his instructor had a relative pass away and he had fill in instructors. His second fill in instructorthought he was farther along than he was and Joe panicked and clawed her neck while scream crying. Nice…., I haven’t pushed since that experience. We play at the beach….slowly building confidence around water, and now it’s time for lessons again. He did great! His instructor was kind, all is well!